“Armenia!” presents not only manuscripts, textiles and relics but also a significant display of intricate architectural elements. 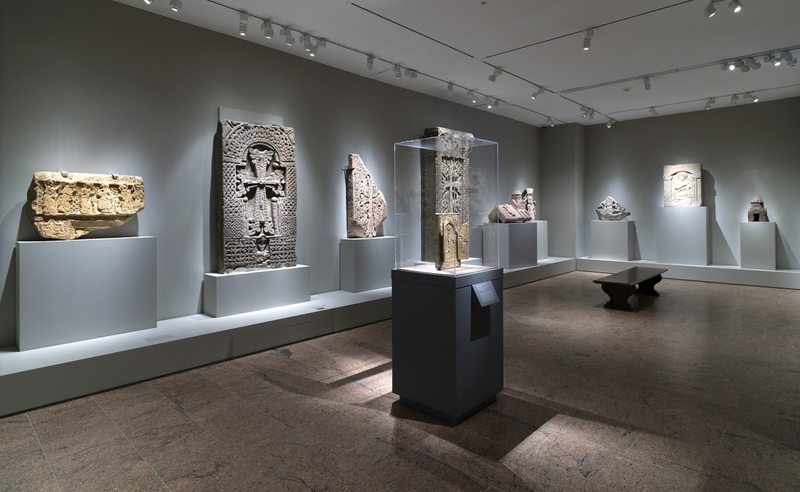 At left center, an ornamental basalt cross or Khachkar, carved before the Mongolian Conquest of 1238, which was found at Lori Berd, a fortress in northern Armenia; on loan from the History Museum of Armenia, Aravan. 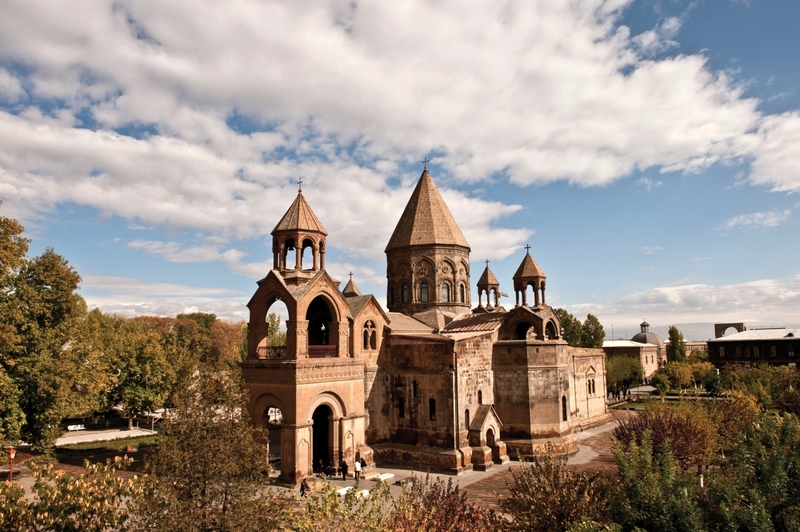 NEW YORK CITY – Armenia stands at the crossroads of archaeological, ecclesiastical and political history, but many might fail to quickly locate it on the world map. The small Eurasian country, along with neighboring Georgia and Azerbaijan, is located on a bridge of land in the South Caucasus between the Black and Caspian Seas. Russia lies further north, Turkey stretches west toward the Mediterranean, while Iran extends south to the Persian Gulf. Over centuries, the country continually has been subject to cultural forces emanating from massive empires on every side – Romans, Byzantines, Sasanian Persians, Mongols, Ottoman Turks. Yet their distinctive art and religion have survived and remain strong in today’s independent Republic of Armenia and Armenian communities scattered throughout the world. 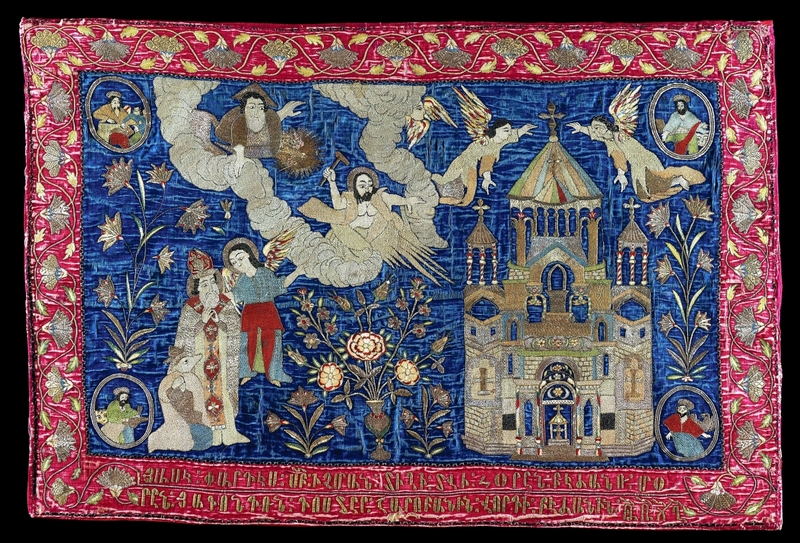 “Armenia!,” on view at the Metropolitan Museum of Art through January 13, brings together more than 140 exhibits – manuscripts and printed books, architectural elements, reliquaries, liturgical furnishings and textiles – connected with the distinctive practices of the Armenian Apostolic Church. 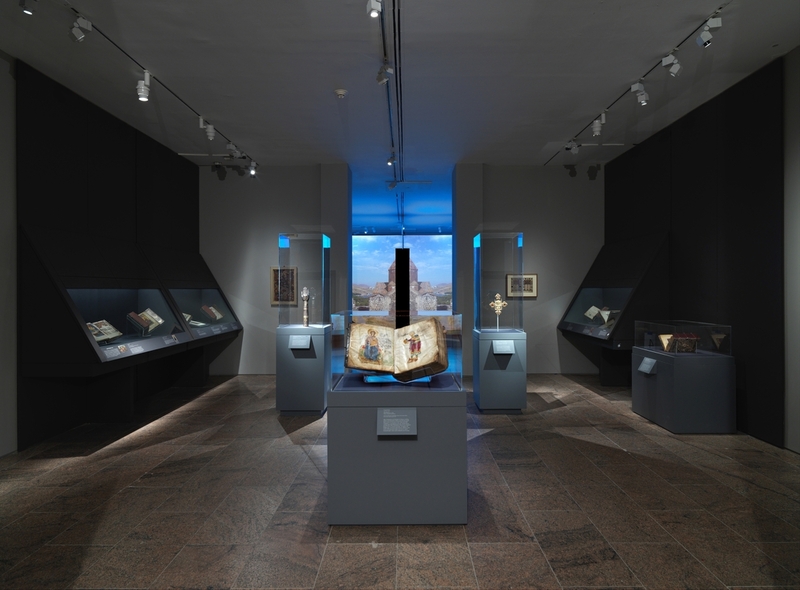 Civilization in traditional Armenian territory dates back to the Bronze Age, but the exhibition focuses on the Christian religious art of Medieval Armenia. The ecclesiastical connection is not surprising in a country which dates its foundation back to the landing of Noah’s Ark on the volcanic peaks of Mount Ararat, which now lies just over the Turkish border to the west. 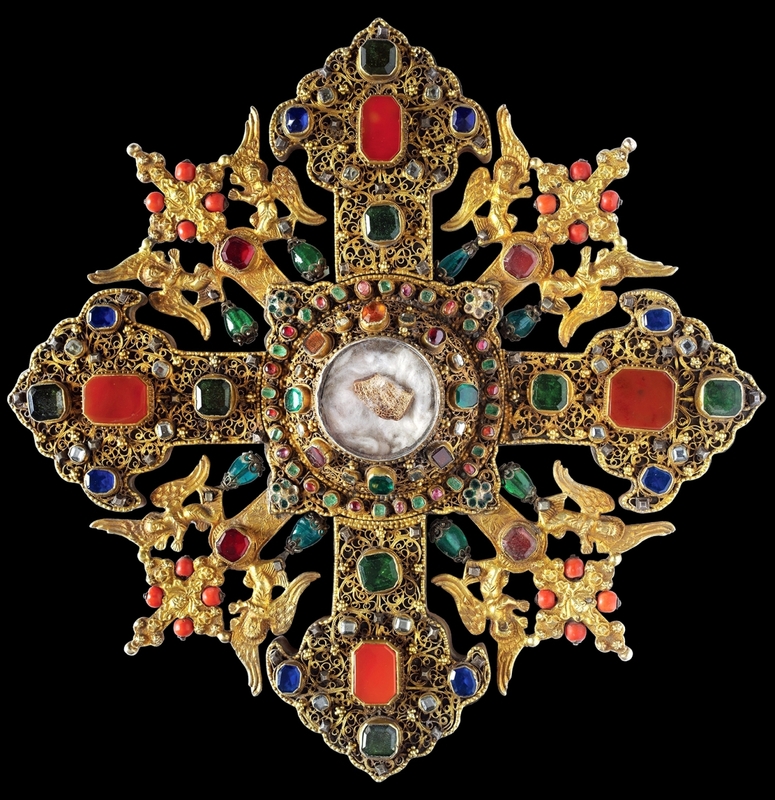 A scholar could spend a lifetime studying the history and culture of Armenia, and indeed that has been the continuing thread throughout the career of Dr Helen C. Evans, the curator for Byzantine Art in the department of Medieval Art and The Cloisters at the Met. She first approached the subject in her doctoral dissertation at NYU’s Institute of Fine Arts. 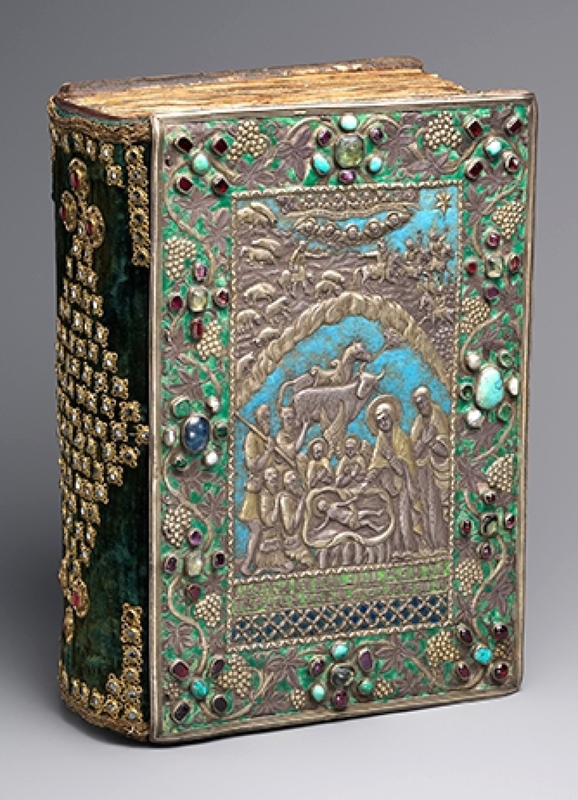 She participated in “Treasures in Heaven: Armenian Illuminated Manuscripts,” a 1994 cataloged exhibition at the Morgan Library, put together by one of her teachers, Dr Thomas F. Mathews, who was also interested in art from that region. Since arriving at the Met in 1991, Evans has organized important exhibitions in her field but always envisioned a more thorough exploration of Armenian art. A manuscript page in the exhibition with a passage from Corinthians displays this curvaceous, impenetrable erkat’agir script, on loan from the “Matenadaran” Mesrop Mashtots’ Institute-Museum of Ancient Manuscripts in Yerevan, Armenia. 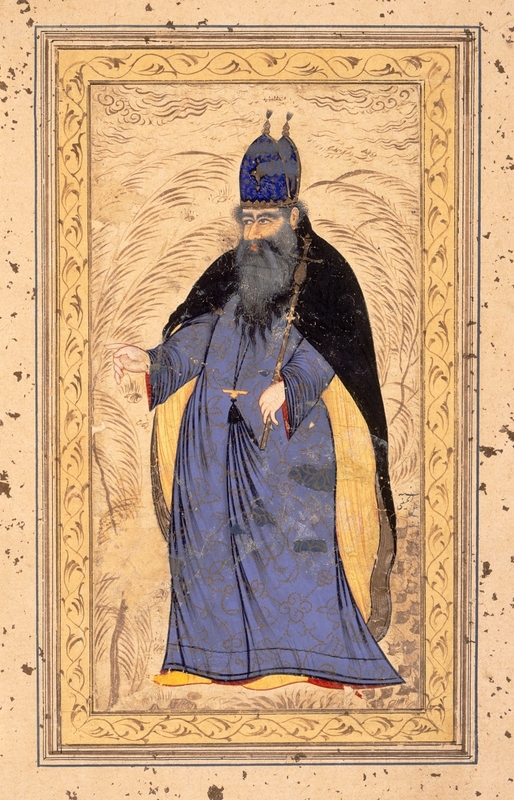 Other, more visually-arresting manuscripts are illustrated with colorful portraits of holy figures, wealthy donors, monks and scribes. One of the venerated Gospel Books, completed at the monastery of Gladzor, 1300-1307, depicts in vivid colors a scene of Christ reading in the synagogue to a rapt audience. 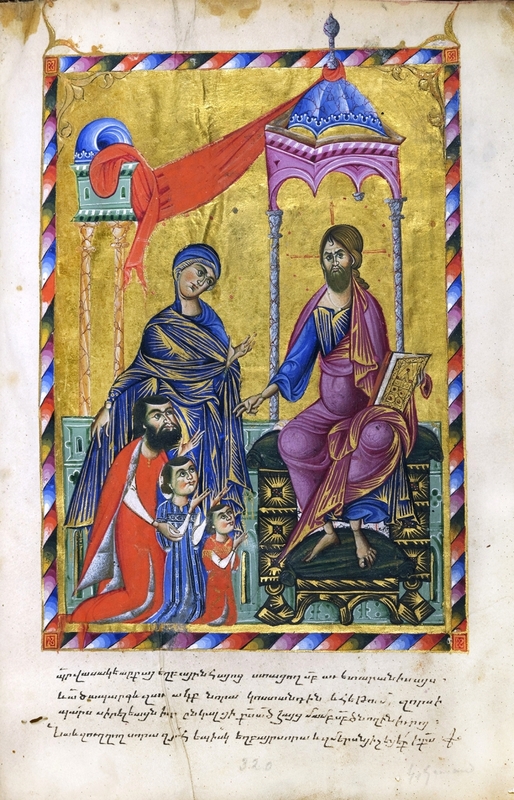 An illustrated Bible from the same monastery, on loan from the Institute in Yerevan, depicts the Tree of Jesse against a shining gold background. Helen Evans noted, “One of the most interesting aspects of the exhibition is that we were able to borrow three-fourths of the objects in the show from Armenian institutions that have protected their heritage.” This fact is especially astounding in view of the natural disasters and frequent invasions, including waves of Mongols, that have beset the mountainous region. The exhibition and catalog are enhanced by the stunning photographs of Armenian religious architecture and the surrounding rugged landscape taken by Hrair Hawk Khatcherian and Lilit Khachatryan. Furthermore, visitors can examine architectural fragments first hand in a gallery devoted to works in carved stone. Show stoppers are the massive khachkars or commemorative cross stones, often funded by a wealthy medieval donor. A basalt cross within an elaborately ornamented frame has symbols of the four Gospels at the base and stands 6 feet high. At the entrance to the exhibition stands the columnar stela mentioned above. 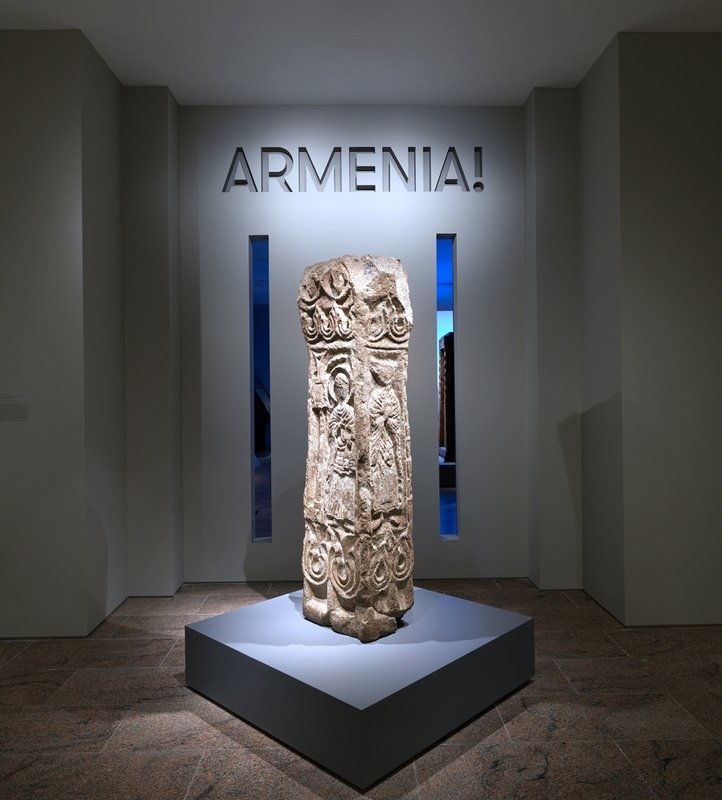 Dating to Fourth-Fifth Century, in the earliest years of Armenian Christianity, the column comes from the Monastery of Kharaba, southern slope of Aragats, Ashtarak. 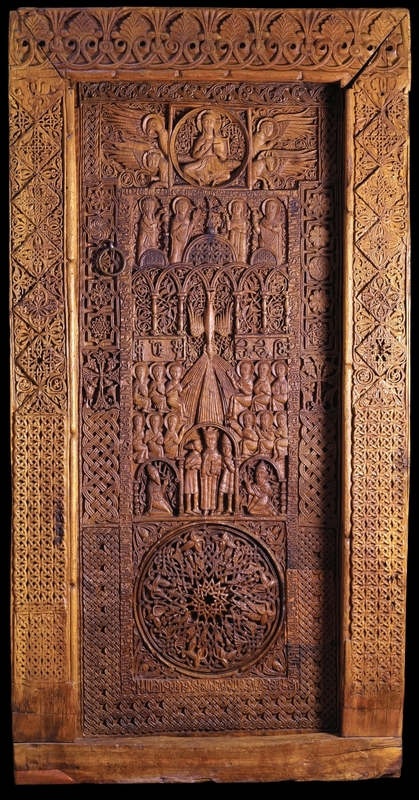 The four sides are carved with figures – on one, the Virgin is enthroned with the Christ child, who holds a Gospel Book. The central gallery case holds a Gospel Book from Adrianople, circa 1007; the sheets of vellum with tempera and gold depict the Virgin and Child and a wealthy donor. Cases beyond contain an Arm Reliquary of Saint Nicholas and a Cross with Relics of Saint John the Baptist. 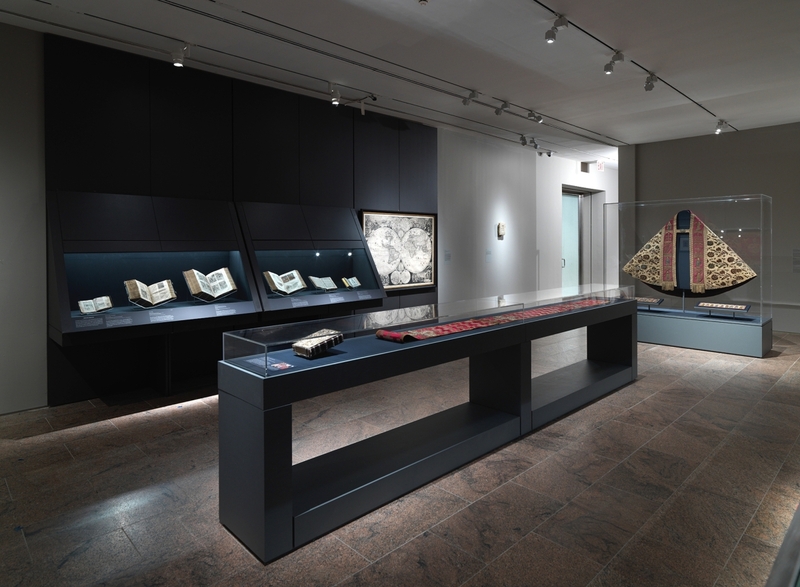 Galleries of books and manuscripts are brightened by Armenian religious textiles. The velvet ecclesiastical cope with silk and metallic embellishments at right comes from Seventeenth Century Iran and has been in the permanent collection at the Metropolitan since 1914.